Let me start with saying it is a story about a rich man in Lagos, who got rich suspiciously. He is intimidatingly powerful, which makes the way he runs his household very questionable as well. will he simply fall back for Abike's love? In my opinion, it is a novel meant for very young adults. For instance the characters weren't fully developed which made it difficult to understand and or connect with them. The story was rushed, most of the plot seems a bit surreal. In the writer's defence, she started writing this novel when she was only 18 and ended up publishing it at 21. I think it would be a lot to ask of, if she should write to entertain fully-fledged adults. However, she won the the Betty Trask Award 2013, an award for first novels written by authors under the age of 35, after all the book is good, though I'd only recommend it to teenagers. Have you read this novel? Please, let me know your thoughts, or drop the link to your review in the comment section. I love the way you tell us the honest truth about any book you review. I look forward to reading this novel though. I might learn one or two things from it. Thanks Mary. Please do, you will learn a lot. Thank you by the way. Hey Mary! I've read the novel and I actually liked it. I'm not saying it was the best book ever but I think it's a good debut. Of course it is considering her age and all. In my opininon it is a novel for very young teenagers....I'd like to read her future novels all the same. LOL. I completely disagree with this hahaa! 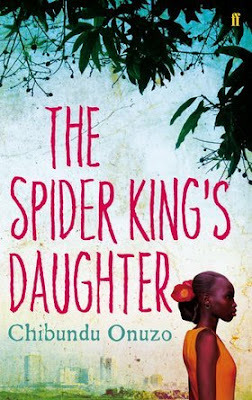 I don't know if you've read my review: http://africanbookaddict.com/2014/12/29/the-spider-kings-daughter-by-chibundu-onuzo/, its pretty self explanatory why I give it 5 stars in the review. But even if this was written for young adults, is that bad/wrong? The African Lit YA genre is lacking, so I think this fits in well, if you consider it a YA/teenage book. *Sigh* we never like/enjoy the same books haha, I kinda like that tbh :). heheh...I think my expectations were high, I think I was just expecting too much. Though, I must say the story is promising at the beginning so I expected more. I should have taken into consideration it is a novel written by a teenager. She is, in fact, an up-and-coming novelist. So, I look forward to reading her next novel.